Significantly improves the appearance of fine lines, smoothes skin and revitalizes tone and texture while improving the visible signs of aging. This professional formulation is scientifically developed with the most advanced ingredients used by skincare professionals, including peptides, retinol, GABA and alpha lipoic acid. Ultralight, fast-absorbing application. 1 oz. 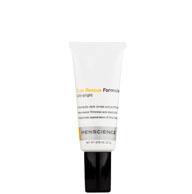 This formulation uses an exclusive, proprietary formula to combine the most powerful anti-aging ingredients for younger-looking skin: Retinol, GABA, Peptides, Alpha Lipoic Acid. 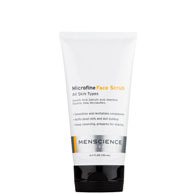 Use the Microfine Face Scrub for a smoother and fresher-looking appearance. Follow with the Eye Rescue Formula. Apply a small amount to eye area to diminish the appearance of fine lines and revitalize a tired appearance. Use the Anti-Aging Formula to pro-actively fight the visible signs of aging skin. Wrap up the regimen by moisturizing with the Advanced Face Lotion to restore the skin’s suppleness and elasticity. Should the Anti-Aging Formula be used under, over or instead of the Advanced Face Lotion or a moisturizer? Does the Anti-Aging Formula contain irritating ingredients? Will it rub off on my clothes? Can the Anti-Aging Formula help with wrinkles? Can I use the Anti-Aging Formula even if I do not have wrinkles yet? Is the Anti-Aging Formula suitable for all skin types? Can the Anti-Aging Formula be used on the neck as well? Apply Anti-Aging Formula on a clean, shaved and dry face after Post-Shave Repair has been completely evaporated. 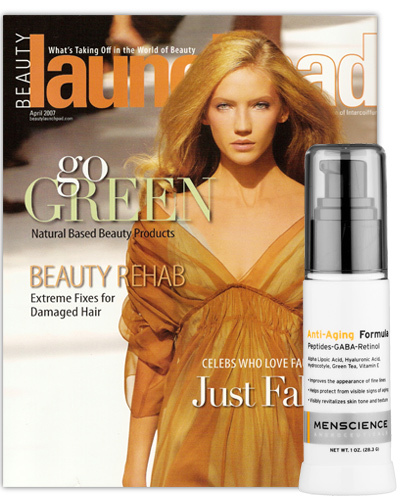 The Advanced Face Lotion or a moisturizer can be applied after the Anti-Aging Formula has been absorbed into the skin. In order to be fully effective, the active ingredients of the Anti-Aging Formula must be in direct contact with the skin, so wait a minute or two before applying another skincare product on top of it. Even though it contains highly effective professional-grade ingredients, Anti-Aging Formula is very gentle, non-greasy, non-comedogenic, unscented and contains no dyes or irritants. The Anti-Aging Formula is created to absorb quickly and completely into the skin and leaves a matte appearance and no residue. Can the Anti-Aging Formula help with the appearance of wrinkles? Yes. By combining the most powerful ingredients available to skincare experts. The Anti-Aging Formula improves the appearance of fine lines and wrinkles and also fights the appearance of other signs of aging such as roughness and lack of elasticity. The sooner you begin fighting the appearance of aging skin, the better. The ingredients in the Anti-Aging Formula will dramatically improve your skin's appearance today and will ensure your skin looks its best as the years pass. There is no “magic bullet” solution to reverse the visible signs of aging, but daily application (morning and evening) of Anti-Aging Formula is the best way to insure that your skin will look its best now and in the future. The appearance of your skin should improve after a short time using Anti-Aging Formula and the full benefits of the active ingredients in the product will accumulate as a result of continued application and a sensible skincare regime. Retinol is a variant of vitamin A. It is used to help smooth and soften the appearance of the skin. Peptides are complex molecules derived from combining chains of amino acids (the body’s building blocks). The Peptides used in the Anti-Aging Formula help smooth the appearance of wrinkles and improve the skin’s firmness appearance. The product does not contain irritants, fragrances or dyes, and is suitable for all skin types. It absorbs quickly and is non-greasy and non-comedogenic. Anti-Aging Formula is not designed to treat acne, but its powerful active ingredients will help improve the appearance of damaged and devitalized skin by helping to improve the visible signs caused by aging or other factors that have affected the skin. The Anti-Aging Formula can be used on both the neck and face area to moisturize, diminish the signs of aging. Since bedtime is the time when the body goes into repair mode, that’s that the time that I like to use the Anti-Aging Formula. The difference in my skin tone and firmness has been amazing. Your Anti-Aging Formula is one of the few products I've tried that actually works. It's not oily and it sinks in fast. I have been receiving nice compliments since I started using it. I like this face cream/lotion very much ! I have tried 8 to 10 other similar products ,some less expensive and some more expensive. This is by far the best I have found in decades ! It doesn't smell like lotion for a lady, it isn't sticky, it absorbs in quickly and I can feel it tightening up some of my 64 year old wrinkles due to a lifetime of summer sailing and winters as a weekend ski instructor. I will never look 30 again but...Anti-Aging Formula sure is getting me compliments quite often about how much younger and healthier I look !!! Thanks VERY much ! I like it. I think it works really well. I think the product itself does make my skin feel fresh and a bit revitalized, however I do feel that this product is a bit pricey. The product works well and yields a noticeable and improved appearance after just a month. Formula absorbs quickly and does not leave any residue. Compliment with a moisturizer for ultimate finish. I have been using the Anti-Aging Formula for around two years, and have seen a dramatic improvement around my eyes and overall skin tone. This by far the best product I have ever used for my skin. I highly recommend it! Little over two weeks use and wow, already notice a difference below the eyes and on the forehead. Great product as with all of the MensScience line. The wrinkles! Especially across my forehead - they made me look old. So I decided to try the anti-aging formula. In just a couple of weeks I already see a marked improvement. Sure I still have some line on my forehead but they are definitely not as prominent. It has definietly helped my appearance and has given me a better self-image. I will definitely continue to use this product. Dont think its working .. i havent saw any change ..
i would like to thank the guys at menscience for making such a great product, lately my skin has been under such poor conditions , I'm 24 but my skin looks like a 34 yr old , so I started applying the product and noticed a wonderful glow to my complexion and I was like wow my skin looks great in the morning , so I would recommend you to buy this stuff and try it because I am sure if it worked for me it surely will work for you . Dont' aspect from this formula any miracle. But if you use it regularly, soon you will see good results. The contents of this formula contains the best elements to fight or to slow down the aging of the face skin. I was initially hesitant to shell-out $58.00 on a face cream, but after one month of usage my frown lines, forehead wrinkles and crows feet have drastically reduced in appearence. Trust me, if the anti-aging cream did not work for me in the first month I would not have requested another shipment, nor would I have bothered to write this review. I'm 34 and I look like I'm 25 again. Good job Mens Science! Love the product, my skin felt smooth and looked brighter. This is probably the best product ever out there! The stuff is great. It goes on smooth and not shiny. Doesn't have any scent and isn't greasy at all. So far so good and although not cheap , it goes a long way. My skin looks great. I'm in my mid-30s. I use this a couple times a week at night (when i remember). It's a great moisturizer, and i wake up noticing a slightly fresher appearance to my skin. This product is really helping my face look more healthy. At my age my skin in the forehead area and around my eyes tends to be dry. Anti-Aging Formula changes the "dry" look to a healthy look. I have used it for about a year. I have been using this product for about 3 weeks now along with the antioxidant. I have not noticed any improvement as of yet. I do like that the product applies smoothly and does not leave an oily sheen on my face. I will continue to use the product until it is gone to see if I notice any improvements before reordering. Good product...a little goes a long way. When used on a regular basis, it produces generally good results. Somewhat pricey and container could be a tad larger, but worth the cost. This is the third product I've used from Men Science. This one probably works the best. Anti-Aging Formula does exactly what it says. I tried other brands of anti-aging products none of which really work. MenScience products always work 100% will always be a customer for life. Superior quailty is what you get when you buy from MenScience. You can what you pay for. This product is full of the best anti-aging ingredients. Is very light weight, absorbs quickly and has no greasy feeling. Have been using it nightly for a month and already see results. Fine lines are gone and my skin has a visibly healthier look. My skin is soft and has a healthy rosey complexion. Thrilled with this and other Menscience products. Highly recommend! I've tried most menscience products, and I've been postively impressed almost without exception; this antiaging lotion is simply the best product in the entire line. Absorbs nicely, no scent, seems to do the job. Generally, since using MenScience products and paying more attention to these things - people have commented on how "good" or "Young" or "you never age" - which is nice and an indication that this works. Good stuff! Been using for quite awhile. Good stuff! Been using for quite awhile. The only downside is the way the lotion is "delivered" - quite the quirky little pump system. Not sure why they just don't mfr a squeeze tube instead. go no further, this is the best product for men, I landed at the end of the rainbow with this and I love it. goes on smooth, tightens the face and I love love love each and every product experience! You will too!! It works. I get compliments on my skin all the time. It gives my skin a healthy glow instead of the tired and ashy look I used to have. I would recommend this to anybody who wants to improve their skin from the inside out but still look manly. It takes a very small amount--about 1/4-1/3 the size of a pinky nail--so this pricey item will last a long while, making it economical in the end. I've got a good amount of sun damage that's led to some wrinkles. The Anti-Aging Formula has definitely made a difference in reducing their appearance on my forehead and around my eyes. This won't make them go away, but it's certainly cheaper than going to a doctor for... whatever it is they do. Unexpectedly, the Anti-Aging Formula also has led to significantly less adult acne. I usually have 1-2 pimples developing or disappearing, but since starting this stuff, I'm going days without any. When using it, just make sure you skin is entirely dry before applying. So, if you're shaving and using the Post-Shave Repair, for instance, make sure the you've waited for your face to dry before applying the Anti-Aging Formula. I recently purchased the Anti-Aging Formula and after using the product for several weeks, I am extremely satisfied with the results I have seen in my facial skin's appearance. I apply the product each evening before bed and again before going out in the morning. I also use the Eye Rescue Formula along with the Anti-Aging Formula and apply the Eye Rescue Formula in the same manner. The only problem I have is with the dispenser used for the Anti-Aging Formula. After using the Anti-Aging Formula for a couple of weeks, the product is a little difficult to dispense. But after talking to a sales representative, I now understand that the Anti-Aging Formula must be packaged in the dispenser because exposure to oxygen can make the product less effective. I have been using this lotion for about 2 years and I'm definitively a very satisfied customer because my skin looks better since I discovered menscience. I just found an additional reason to like this product when at a visit to my dermatologists I asked about the ingredients in this antiaging, and she said peptides and retinol are the best new ingredients used for antiaging. She is also a big fan of the glycolic on the scrub and wash! I'm impressed with the quality of the ingredients used by this company, and I think that's the main reason I like their products. This is probably the best menscience product! my girlfriend didn't know I was using it until she mentioned that my face looked super-smooth, at that time I had only been using it for a few days and I had noticed the difference myself after a few applications, but the results have gotten better after a few weeks. why did the product change? do not like the new formula or new color of the product - does not seem to work as well - does not seem to cover and smooth the skin when applied - was no reason for them to change or they could have offered both. mens science was very insensitive when i wrote to them and brought this up - even offered to buy up a bunch of the old formula -but they declined - i think this new version is cheaper for them to manufacture therefore they can make more money. could not believe how insensitive they were very disappointed in this product now and for sure disappointed in the company. Good product but way too heavy and greasy feeling. I haven't had too much luck with this taking away wrinkles around my eyes or on my forehead, but it does an excellent job of evening out skin tone and making my skin smoother and better looking. I had a problem with the pump applicator too, but I shook the thing up until I heard a liquidy sound and it worked fine after that. I have been using the Anti-Aging Formula for about 1 1/2 months, and cannot see any visible signs of improvement. However, the Advanced Face Lotion is working great! Seems to have really good anti-aging qualities. Microfine Scrub works well, using that 1x per week. Noticeable improvement in skin tone. And last but not least, the Shave Cream is the best I have EVER used, and I have tried MANY - I especially like that you can see what you are shaving. Good product but packaging issue..
Was using the Advance face lotion and quite satisfied with it and so started to try the anti-aging formula. The problem was that the stem inside seems to be broken and hence, i am unable to pump out any lotion! So I have to resort to opening the whole pump cap just to pour out the lotion which is difficult as it is rather creamy. Otherwise, seems to be a good product. I'm using this product for 2 weeks only. I cannot see any improvement. Maybe is too early to write down about this product, so will give it only 2 stars for now. I recently purchased a bottle of this because I have tried other MenScience products and thought they worked well. The first night I applied this to my face it burned just a little but I didn't mind it. It made me feel like it was working. It has exceeded my expectations. I know it's not supposed to fight acne but ever since I've used it, about a week ago, I have only had a few barely noticeable pimples. I apply it every night before I go to bed and I also noticed it helps with my face being oily during the day. It still gets oily but nowhere near as bad as it use to before I started using this product. Also works great on dry skin. I enjoy this product and will definitely be purchasing another bottle soon. Highly recommended!!!!! Not real impressed with this product. I find this item to be of little value. I use the cream daily and it has taken years off the lines of my cheek bones and brought life and youth back to my face! You can not believe the comments that I have recieved! My friends know I am almost 50 years old. My face contains the experience of being 50, but not the wrinkles. When people ask me how old I am I ask them to guess, they always say early 40s. My use of the anti-aging formula has decreased visible signs of wrinkles on my forehead and enables me to look much younger that I really am. This positive outlook on live helps me in all facets of my professional and personal life. I recommend this product to anyone that wants to remove years and not lives' experiences from their face. If there was one product in the MenScience line that I wouldn't do without, this is it. I'm the type of guy who believes in taking care of one's body including my skin. I've been using the Anti-Aging formula twice a day since it was first launched, and it works as claimed. I'm 43 and I can't tell you how many times other guys will tell me they hope to look as good as me when they reach my age. I credit that in part to this awesome product. Thanks! This product seems expensive, but is well worth it...and if you use it sparingly it lasts a while. The anti-aging formula is a very effective product that really helps with the overall appearance of your face. I have been using the product for over a year now and I have seen great changes in the look and feel of my face. The anti-aging formula combined with the microfine face scrub act as a great one, two punch for the male face, totally changing the appearance for a more younger looking complexion. The great thing about the anti-aging product is that it goes on easy and is absorbed rather quickly for fast acting results. The only downfall of the product is that you only get a small amount (1 oz) which leads to a shorter product life. That may turn off some people who like to use the product everyday. This is an excellent product! It helps smooth out fine lines and evens your skin tone. I had several people comment about how refreshed I looked asked if I had been in the sun. I highly recommend this product! Started use two weeks ago. I am applying the product twice a day (AM and PM). My skin feels better to the touch when compared to previous products but I have yet to see any noticeable changes in my fine lines or wrinkles. I will give it a month to six weeks before passing final judgement. Appliactor works great and product goes on easy without fuss or mess. I know from years of experience that if attention is not given to my facial skin, it will show the ravages of time. I find the Anti Aging Formula very easy to use. My particular way to treat my skin is to first wash it thoroughly removing oils and the grime that builds up during the day. I place a small amount on my left hand and then apply that cream with upward motions to my entire face (except eyes). The result is immediate. This just makes your skin feel so good and you know you are doing something great for it! I'm a triathlete and my face gets a lot of sun exposure. A few years ago, I started looking for an easy-to-use product to help protect my face and give me the benefit of good skin care. I saw your product noted in a magazine for weight lifters, and liked that it was a skin care product designed for men. Once I tried it, I was hooked! The product is so light, and has no fragrance, that it feels great on my face. I've also seen good results, as it has given me soft skin and a bright complexion. The ingredients are top notch and that is important to me.The only issue I've ever had was that the pump mechanism didn't work on one bottle. When I brought this to the attention of customer service, they immediately sent me a brand new one, and I haven't had any problems ever since.I've made the antiaging skin care part of my daily routine, and its really come through for me. One pump every morning before class and within a little less than two weeks, I noticed improved skin tone, texture, and radiance. I'm only 24 years old, and this does a superb job at smoothing out inconsistencies. No guy is too young for pure, quality ingredients. I had taken a break from this product and began using standard pharmacy products for a while, but as soon as I switched back to the Anti-aging forumla, everything that I loved about my skin the last time I used it, came back. I love the natural, gentle tightness it has given my skin while also making me feel confident about my appearance at meetings, conferences, and late nights out. I've been using the anti-aging and eye rescue products for about a month now. I am a 56 year old man. Last night I went out for a drink with my kids and I was asked for my ID. How great is that. I've purchased this product in the past, and even recently, and it always works! My face looks smoother and it definitely improves the skin's texture as well. I have very few wrinkles, so I have not really bought this product for this issue. However, I have even seen some improvement in this area also. My wife has also noticed how effectively it has worked on my skin. So far, I have not found a better product! The Anti-aging formula is a must have! The portioned pump is excellent You can be sure you are not using too much or too little. The results are visible by smoothing and refreshing my skin. This will complete any skin care regimen! I am a consumer that experiments with products that would contribute to my appearance. Being a senior citizen I need all the help I can get. 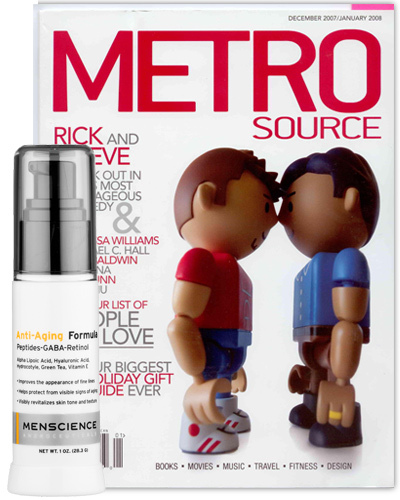 Menscience Antiaging Formula appears to be working since I am proofed when I try to get a senior discount. All I can say it works as advertised. Only been using it a little over a week, and I already notice a big improvement in skin texture and fine lines. I also notice that I have alot less breakouts. I use the anti aging formula in the morning and at night before bed. This definitely was the cherry on top of the ice cream as far as improving skin texture and tone. The formula helped lighten some darker spots around the cheek and eyes, along with evening out skin tone leaving a smooth, polished look. During a recent visit, my dermatologist was so impressed with my skin, that she had all the physicians assistants come and check out how good my face looked! i use this product twice a day - in the morning and at night. the anti-aging lotion makes my face feel very refreshed and smooth. this product along with the eye rescue cream noticeably diminish any minor lines and darkness around the eyes. if you really want to slow down the aging process, a good lifestyle and these products are for you. i'm over 40 years old now, but often have people ask if i am 30 yet! as a model, looking younger gives me the edge i need in a very competitive industry. i use it ever night and it works great. a small amount is all that is needed, goes on smooth and dries quickly. I apply every day after washing face, then apply sun screen. I had never done anything more than rinse my face off in the shower. Then one day I looked in my car visor mirror and was shocked at how old I was looking for a 38 year old. I decided it was time to invest time and money into a skin care regimen. First I went with a product I purchased at a major retailer. After using it for a couple of months I felt that the results were minimal so I continued to look for better products. 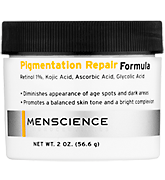 I stumbled across the MenScience website and decided to give the AntiAging formula and Eye Rescue a try. And after 2 months of using the products, I'm extremely glad I did. It took about a month or so for me to really notice the results, but the change is very noticeable. My sagging eyes are much more firm and fine lines around the eyes have been reduced. I have semi-deep wrinkles around my eyes from sleeping on my face - they're still there but not near as noticeable. Overall skin tone is much better. After applying the AntiAging formula, I get a very relaxed feeling across the entire face...very soothing...almost addicting (I didn't notice this until recently). I attribute most of these results to these MenScience products, but I also have to mention that I cut down on smoking and drinking, lessened direct exposure to the sun and I try not to sleep on my face, although I can't help it most of the time. I would recommend these products to everyone, and I'll be a repeat buyer of the products from now on (just placed my second order). I have tried many products in the past, and I was not totally sold about trying something that I purchased on-line and not able to sample in a store. I totally love this product it evens out my skin tone, firms and hydrates skin. It is great to use right after shaving. One of the first things friends of mine who I haven't seen in a while tell me is how great my skin looks. The active natures of Retinol, GABA and Peptides decrease over time, so reapply in the evening or at bedtime to insure maximum performance. It is better to apply a smaller amount in the morning and reapply later than to apply a larger quantity only once. Combine the use of Anti-Aging Formula with regular exfoliation of your face to improve the appearance of fine lines, soften skin and improve absorption of the active ingredients. An ultra-powerful antioxidant that is both water and oil soluble and works with other antioxidants to boost their levels of effectiveness. Gamma-aminobutyric acid. A naturally occurring amino acid which helps reduce the appearance of fine lines and wrinkles. Derived from a predominantly aquatic plant (Gotu kola or Centella Asiatica). Used to help refresh and moisturize the skin. Ingredients: Acqua purificata (purified water), Caprylic/capric triglycerides, Centella asiatica (hydrocotyle gotu kola), Persea gratissima (avocado), Gamma amino butyric acid (gaba), Retinol, Polyacrylamide, Acetyl hexapeptide, Palmitoyl oligopeptides, Camellia sinensis (green tea), Butylene glycol, C13-14 isoparaffin, Hyaluronic acid, Carbomer, Polysorbate 20, Polysorbate 60, Glycerin, Lecithin, Carnitine, Laureth-7, Propylene glycol, Stearic acid, Curcuma longa root (turmeric), Cetearyl alcohol, Glyceryl stearate, Lycopene, Thioctic (alpha lipoic) acid, Tocopheryl acetate (vitamin E ceramides), Retinyl palmitate (vitamin A), Ubiquinone (Coq-10), Allantoin, Vitis vinifera (grape seed), Phenoxyethanol. The most advanced ingredients used by dermatologists. 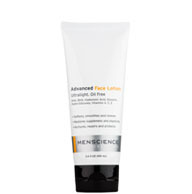 MenScience Anti-Aging Formula is a professional-grade formulation that combines the most advanced and powerful dermatological-grade ingredients to help prevent and fight the signs of aging. Retinol revitalizes skin tone and texture, for a smoother, brighter complexion. Palmitoyl Oligopeptides helps restore the skin’s natural elasticity and firmness, reducing the appearance of fine lines and wrinkles. This ultralight fast-absorbing lotion is packed with antioxidants to fight free radicals and provides the best defense available against future aging damage.